Photo: Craig Ruttle/� Corbis. All Rights Reserved. 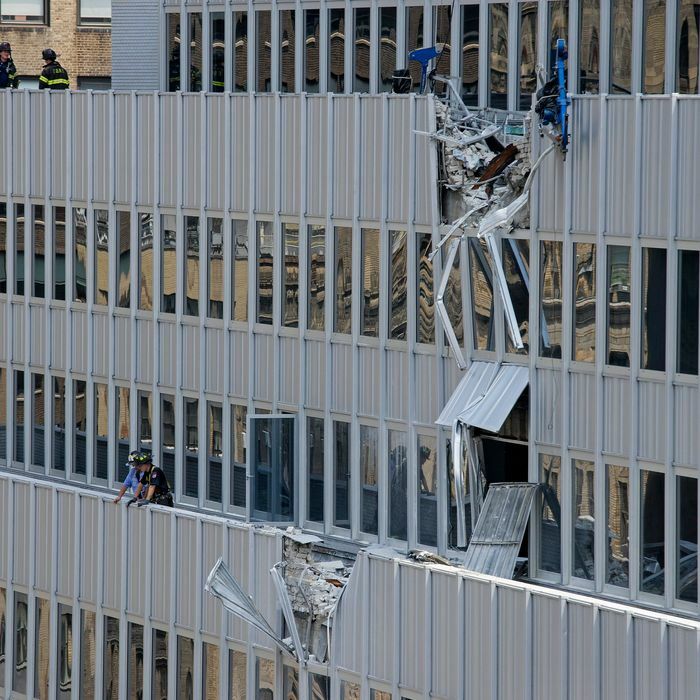 The New York Post reports that ten people, including construction workers and pedestrians, were taken to Bellevue and New York Presbyterian with minor injuries. The FDNY evacuated the area immediately surrounding the building, and traffic from 34th Street to 42nd Street between Park Avenue and Fifth Avenue has been shut down. Crews are now working to get the street cleaned up in time for Monday’s morning rush hour. Alert: Avoid midtown area of Park to 5 Aves, 39-40 streets due to a crane incident/accident. In a press conference, Mayor de Blasio pointed out that the situation could have been much worse: “Thank God this incident occurred at a time when there were not many people around,” he said.